Summer must be on its way (please!) 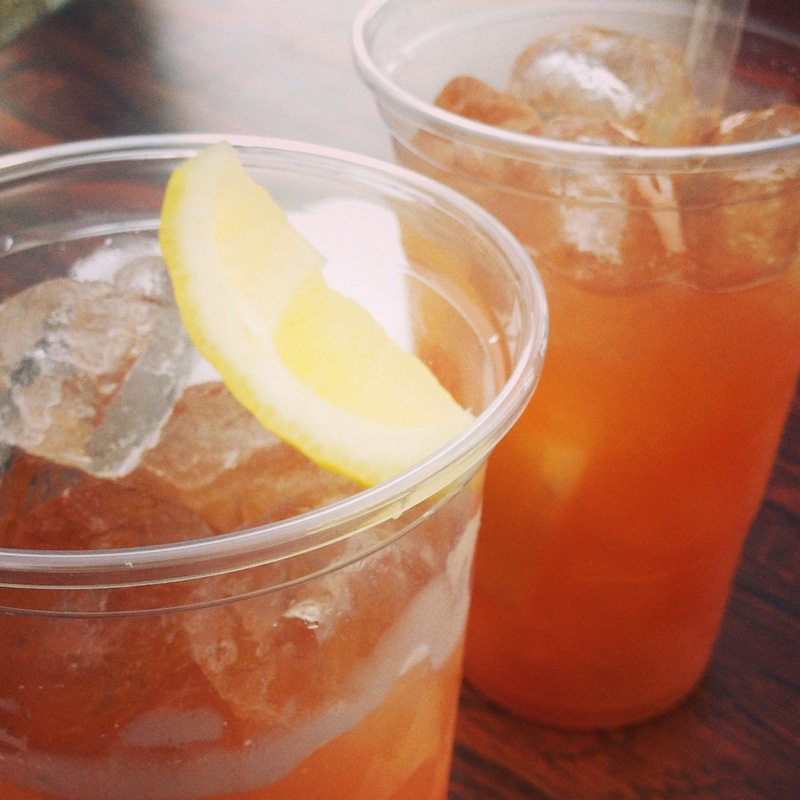 because Street Feast has made a glorious return. This year it’s based at Merchant Yard on Kingsland Road and, based on the opening night, looks like it’s going to be a belter. The weather was hideous (standard) but it didn’t stop people turning out in droves to sample the culinary delights of the street traders. 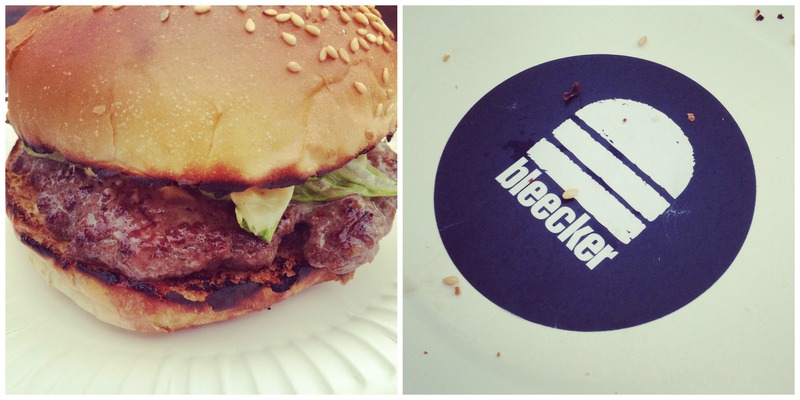 We were spoilt for choice, but decided to start the feasting with a Blue Burger from Bleeker St Burgers. One word: delish. 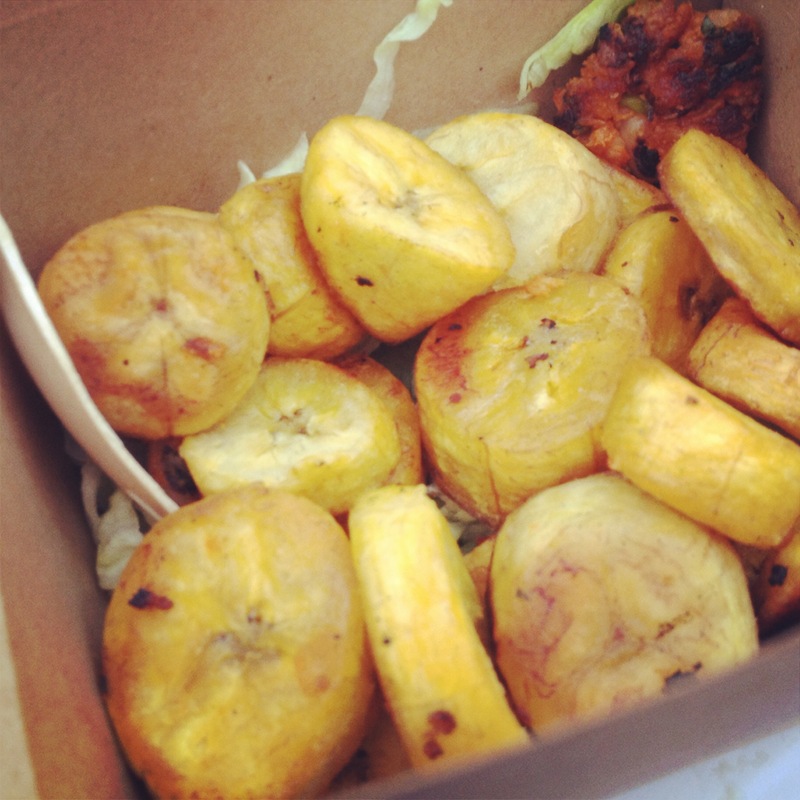 Then we cleansed the palette with some fried plantain from Mama’s Jerk Station. It was good, but not quite as good as the fried plantain at Taqueria. 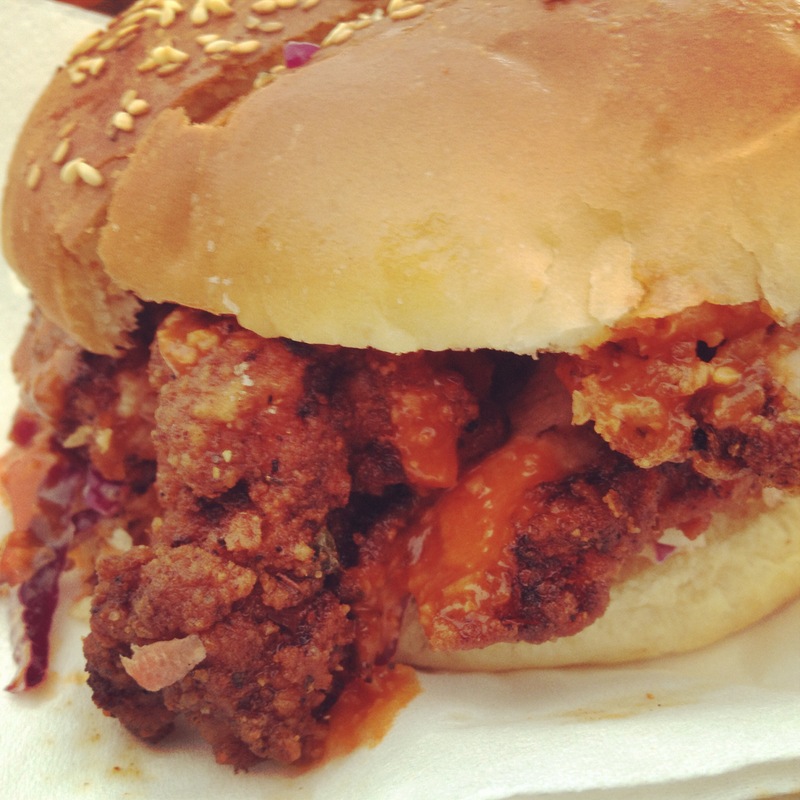 Next up – a buttermilk chicken bap from the guys at Spit & Roast. This was definitely the taste highlight – amazingly crispy chicken, tangy coleslaw and Korean hot sauce. We were struggling to decide what we could get that could follow something so awesome. 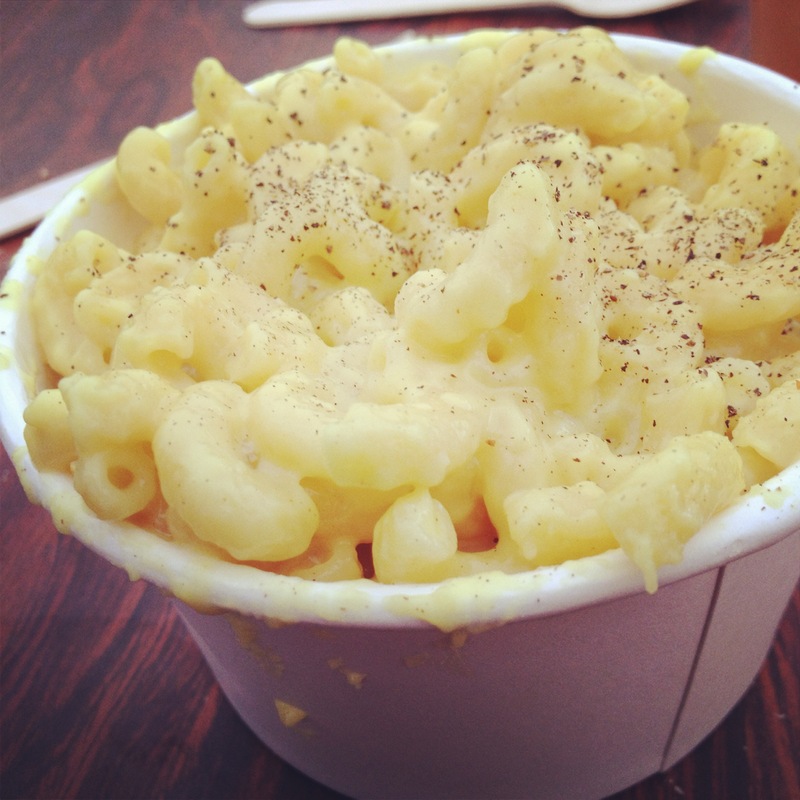 We’d tried Anna Maes Mac & Cheese at We Feast a few weeks back, and decided it was so good we wanted it again. Definitely a good decision. Despite the rain, Sorbitium’s menu looked far too good to resist. 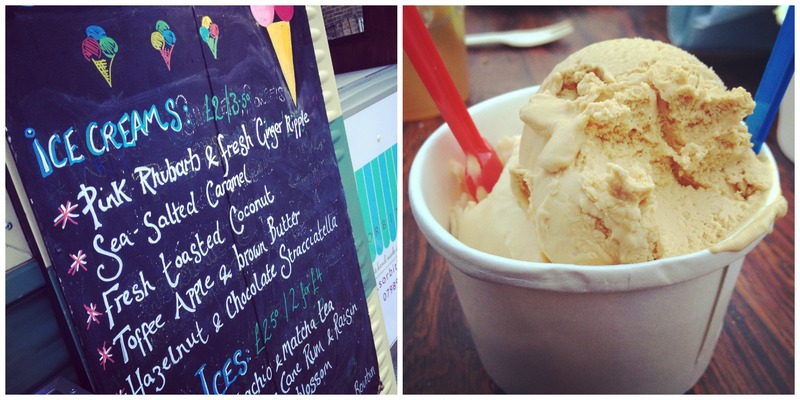 I picked 2 scoops – Salted Caramel and Toffee Apple & Brown Butter. Yum. Cocktails came thanks to the Rotary Bar & Diner. They’re a little steep at £10 each, but the barman was friendly and the drinks were yummy, so all is forgiven. 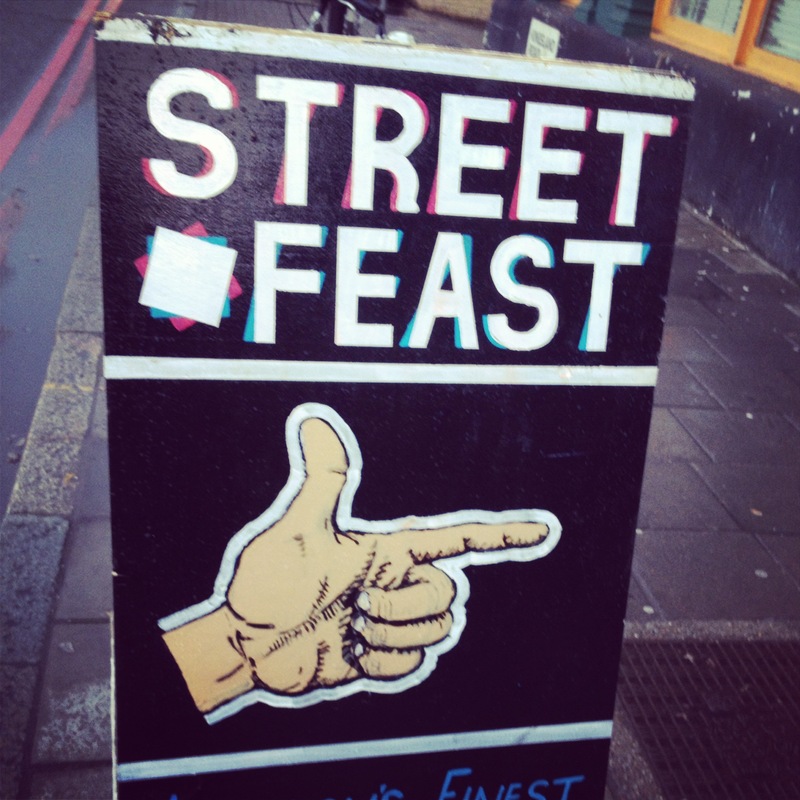 Street Feast is on every Friday from 5pm. We’ll certainly be going again over the summer! NB. The Rib Man is there – we’ve eaten his delicious rib buns a few times at Brick Lane market so missed them this time to try something new. If you visit Street Feast and haven’t tried them, make this stall your first point of call.